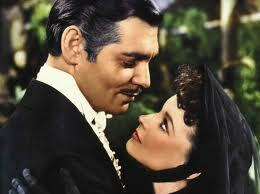 That was Scarlet O’Hara’s famous final line in the epic movie Gone With The Wind. The problem is—it doesn’t mean what we want it to mean. As a young father, my life was filled with responsibilities to earn an income, climb that imaginary ladder, and support my family. I wanted them to have the best life could offer. It was more than just making ends meet. Work meant providing a way of life that was spectacular, and in many ways . . . unrealistic. Even though I tried to spend time with my kids, which I loved to do, I often worked long hours and seemed to constantly be busy. I believed that tomorrow would somehow be different. Tomorrow I would have that time to spend with my kids and wife. Satan loves for us to put off till tomorrow what God wants us to do today. It gives him the opportunity to wedge another item into our lives for which we don’t have time. When that means pulling us away from our husbands, wives and kids, he’s happy. It isn’t that we are choosing to ignore our families. We intend to make it work. We expect to accomplish tomorrow what we couldn’t accomplish today. Our motives are pure and expectations realistic—for the most part. Unfortunately I lost years that I can never take back. I didn’t abandon my kids or my family. I didn’t lose the opportunity to impact their lives. But I could have done more. I could have had more. For that reason, I wish I had it to do over. This man had worked his whole life to climb the corporate ladder and become a success. He recalled wanting his family to be proud of him, but they complained they wanted more of him. They needed his time. He didn’t listen. He didn’t slow down. Instead, he worked harder, expecting to spend that precious time with them tomorrow. Oftentimes he made great plans to do special things with the kids or his wife. But he would cancel his plans at the last-minute. He didn’t mean to, but things came up that needed his attention more. This sweet old man faced his old age alone. His kids were long gone—busy just like he had been for so many years. His wife had died in her fifties. He smiled and told me how much money he had in the bank—it was a lot. He explained how little it meant to him. He would have given it all for one more day in those early years. If you are a young dad or mom, don’t wait for tomorrow. Make the best of today. Take the kids for ice cream. Go to the park. Date your wife. Some of my best memories are from when I played hooky from work and took the day with my wife, or the family to the zoo.